Crafty Texas Girls: Reveal of a "Secret Talent"
Reveal of a "Secret Talent"
Do you have a 'secret talent'? 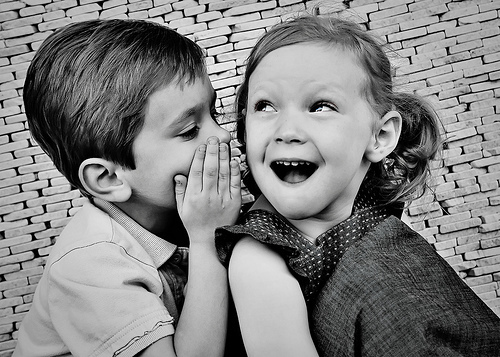 I don't have too many secrets :) Between this site, facebook, instagram, vine, twitter... well there are very few things don't end up getting shared somewhere. Can you relate? Do you feel like me--- if the moment is not documented, it will somehow slip away? I think that need to document and chronicle my life has something to do with one of my 'secret talents'. So, since it is Sunday and I am in the mood to gab, would you like to know about my 'secret talent'? 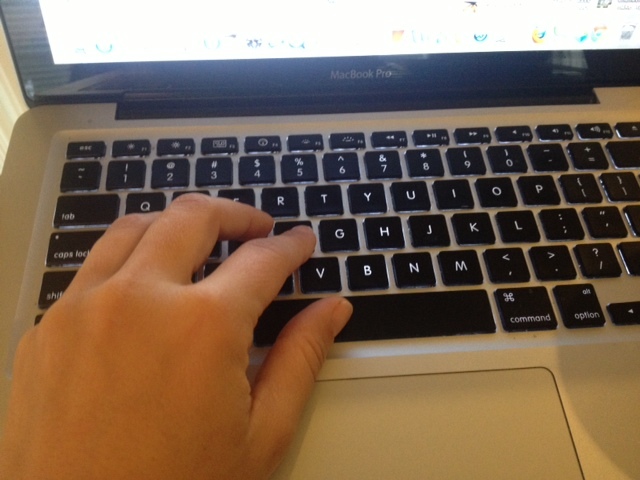 It is one of the reasons I blog, write, photograph everything. And it is this 'secret talent' that actually earned me a high school letter jacket. Go ahead, make a guess. Was it cross country? track? dance? cheer? Nope. My 'secret talent' is that 15 years ago, I was the Feature Editor of my high school newspaper "The Dragon Tribune" and an anchor/writer for our school morning show "KDGN". And did you know that 15 years ago, a senior could 'letter' in journalism? So I got a letter jacket-- for free?! 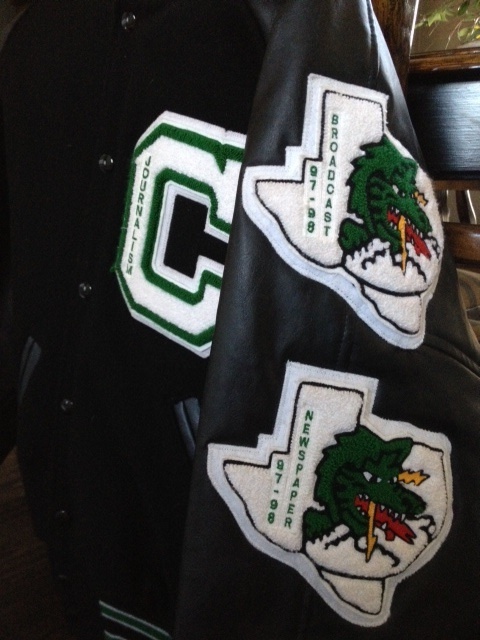 But, here in Texas, most letter jackets were earned by playing sports. So I never ever wore it-- I felt kind of embarrassed. Don't worry, my mom still has the jacket tucked away in a hall closet, just in case I ever want it. It's just waiting for me :) I think that 'secret talent'- that love of writing, photographing, and 'reporting' was just one of the many steps that lead to this blog. Kind of funny when you think about it. So fast forward from high school to college. I spent 2 years in the journalism program at TCU, but then I switched majors and got a degree in education. That dream of being a 'big time' writer or broadcast journalist faded away somewhere and I decided I would rather teach. After graduating from TCU, I taught grades 4th, 2nd, and even Pre-K. Once I had my girls, I chose to stay home with them full time. 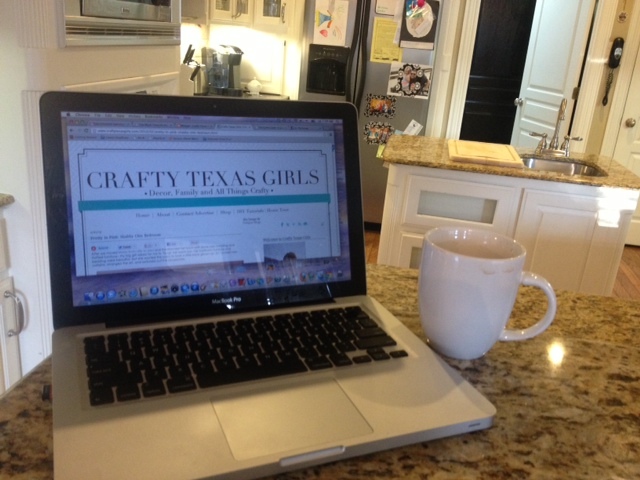 But one day, that 'secret talent' decided to pop up again-- and Crafty Texas Girls was born! So along with the theme of 'big secrets' being revealed, one of my sponsors-- The Green Giant-- has a big secret that they are revealing too. The big surprise from The Green Giant is that they are unveiling New Veggie Chips. We tried the new two new flavors of veggie chips from The Green Giant, Roasted Veggie Tortilla Chips – Zesty Cheddar Flavor and Multigrain Sweet Potato Chips – Sea Salt Flavor. My girls liked them both-- their favorite was the Zesty Cheddar Flavor. Which just goes to show, that both people and chips can surprise you. A letter jacket for journalism, a yummy veggie chip. Who would have guessed??! You can see more 'secret talents' revealed with Green Giant on You Tube. New Party Name: "Cowgirl Up" is now "The Scoop"